Two Cent Sparrow: Big News....!!! 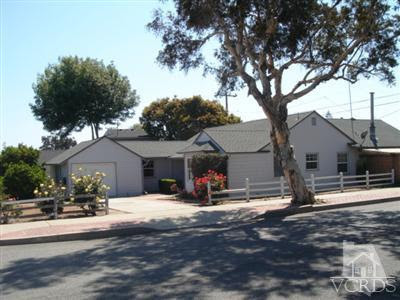 We're in escrow! 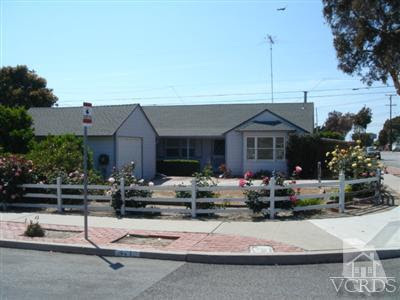 After years of talking, months and months of searching, and too many offers to count, RJ and I are finally in escrow on a little house in Ventura. 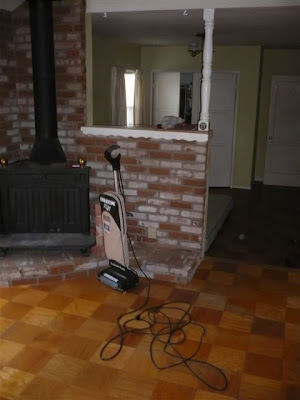 It is a 30 day escrow and things are moving along really well. We are super-de-duper excited. We really feel as though this house was choosen specifically for us. Please pray that the next three weeks go smoothly. Front of house. 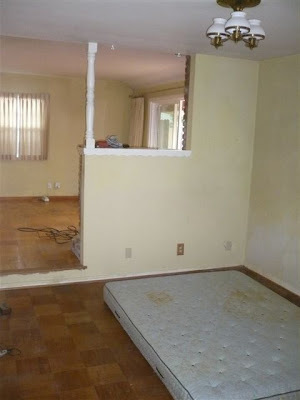 3 bedroom, 1 bath, corner lot. Kitchen. Original '50's stove and it's in great condition and still works great! Dining Room/Living Room area. From the kitchen. Living Room/Dining Room from the front door. Master bedroom from the hallway door. Master bedroom from the back of the room towards the hallway door. 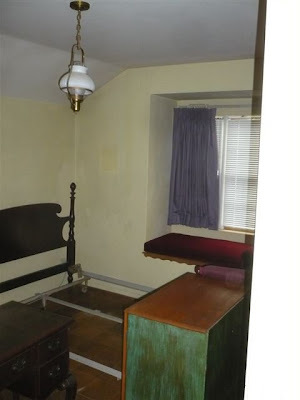 This is the third bedroom from the hallway. 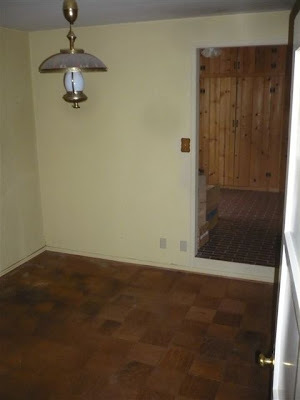 It is almost two different rooms. 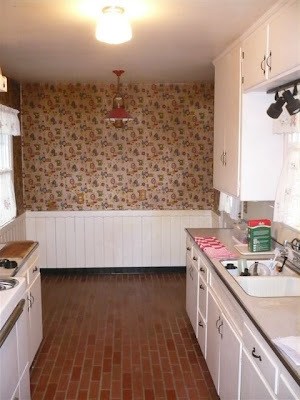 The entire back wall is cabinets. 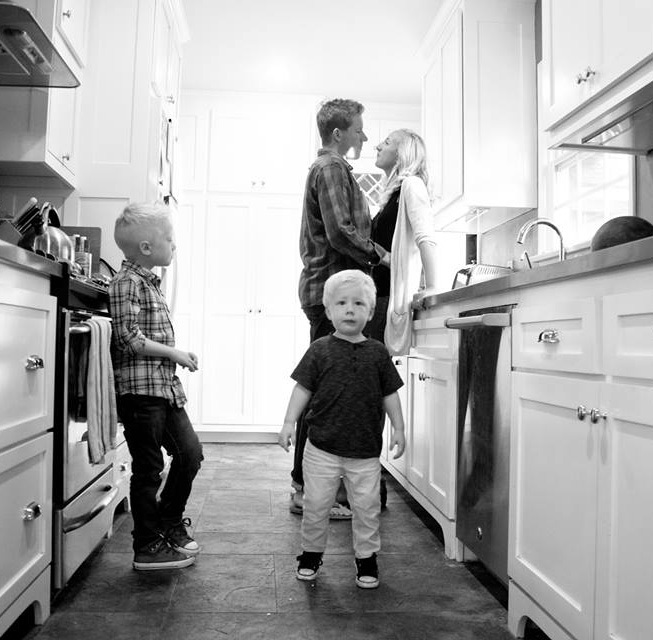 Standing in front of those cabinets looking out. Dining/Living room from bedroom 3. 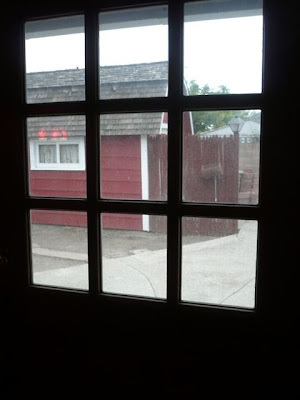 Looking from the Dutch door in the living room to the backyard and the cute barn/work station. 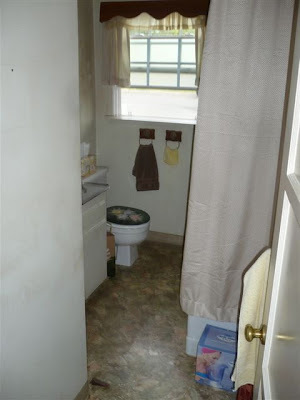 I was hesitant to actually publish this photo, but here's the bathroom! Congrats! That is SO exciting! Enjoy all that goes along with your new home. CONGRATS!!! This house has great potential! Can't wait to see pics once you guys move in! Hi Anna, this is such exciting news. I love the rose bushes in the front yard! I have been thinking about you. I would love to connect, out short time together at the Romano wedding was just not enough catch up time! Much love to you. oh and yes, i agree with Linda.. the kitchen does have charm!